The health-care venture between Berkshire Hathaway Inc., Amazon.com Inc. and JPMorgan Chase & Co. has picked the person who will lead the initiative. 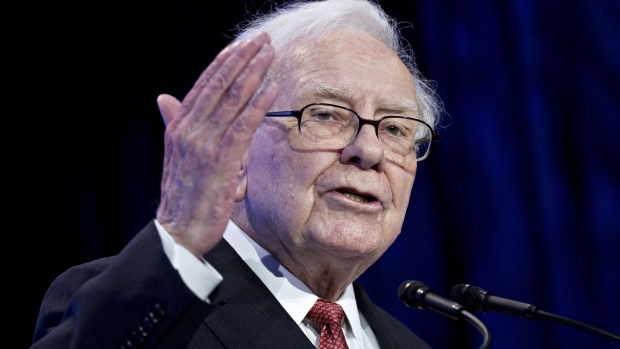 Buffett’s Berkshire, along with Jamie Dimon’s JPMorgan and Jeff Bezos’s Amazon, said in late January that they planned to start a joint venture to improve health care for their workers. While the companies didn’t give much detail at the time, the announcement prompted broad speculation and unease among investors, sending shares lower for health-system companies including insurers and pharmacy-benefit managers. Todd Combs, one of Buffett’s investing deputies and a board member at JPMorgan, has been working on selecting a CEO. Dimon credited him with doing the “heavy lifting” for the search. “We have an outstanding individual -- character, culture, capability, heart, mind, the whole thing,” Dimon said Thursday on CNBC.